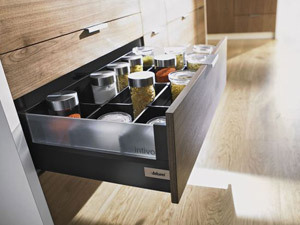 Video to enhance that Dream Kitchen, shows - the Soft-Close Kitchen Drawer. Kitchen Video - Soft-Close Kitchen Drawer. We all dream of our perfect kitchen – one that's easy to use and move around in, clutter free and organised to perfection. The kitchen is one the busiest areas of your home, which makes clutter inevitable. Try and organise it, don't cook not knowing where the next essential tool can be found – cooking should be enjoyable and stress free. 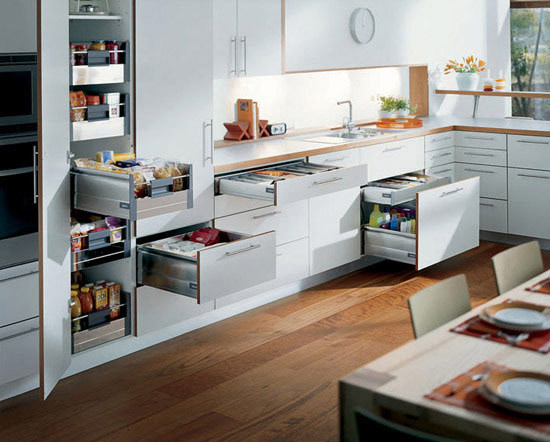 Is your kitchen the one where everything is stacked wherever it fits and nothing can be found when it's required? 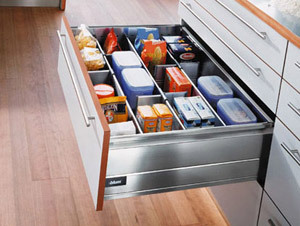 Enhance that dream kitchen, maximize the efficiency of your space with our large selection of products, all designed to increase storage capability and keep everything together, then next time you can have the pleasure of knowing where you can find that 'missing' item when it is required. 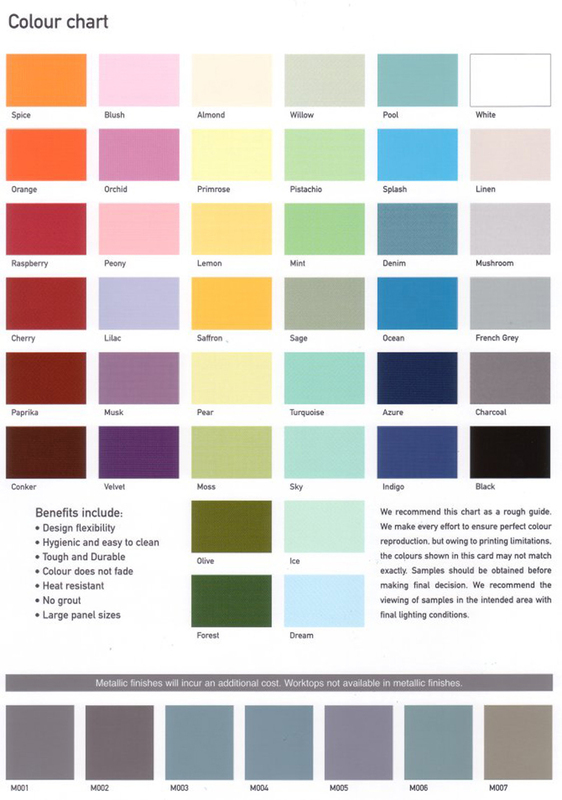 There is an enormous choice, from base cabinet pull-outs and corner systems, drawer management, spice racks and cabinet door systems, larder fittings, under cabinet pull downs, cabinet wine racks, built-in towel, tray and bottle storage, appliance lifts and appliance storage – just too many to show. 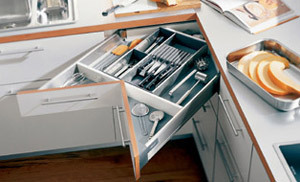 Kitchen Accessory - the soft close drawer box closing system. 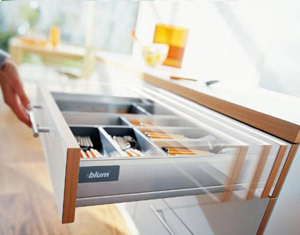 • Blumbox Soft close drawer box. For more drawer videos - click on one of these four images below. or for more videos go to - Kitchen Videos on Accessories.